The Fort Hays State University Women’s Soccer Elite ID Camp is a 4-day training program from June 22 to June 25. It is inviting to all 15 to 19 years old high school female soccer players. This elite ID camp engages the attendees into a collegiate training and competition atmosphere. It will bring into line sessions that improve both the technical abilities and the tactical awareness of the players. In addition, the camp will provide further information regarding college recruiting processes. The camp is an ideal venue for those players who want to play in college level. All the sessions are under the supervision of the Fort Hays State University women’s soccer coaching staff. Both residential and commuter camper are welcome. Moreover, check-in will be at McMindes Hall in Fort Hays State University campus, 2:00 PM on Day 1. Fort Hays State University, formerly Fort Hays State College, is a public, coeducational university in Hays, Kansas. The university is under the Kansas Board of Regents and is the 3rd largest among 6 state universities. The university has an accreditation from the Higher Learning Commission of the North Central Association of Colleges and Schools. Furthermore, Fort Hays State University uses a semester-based academic calendar. It has a current student population of around 15,100. This is through an acceptance rate of 91 percent. The university’s student to faculty ratio is 16:1. In athletics, Fort Hays State University supports 16 intercollegiate sports teams competing in the Mid-America Intercollegiate Athletics Association of NCAA Division II. Their nickname is Tigers while black and gold are their identity colors. The new Fort Hays State University women’s soccer team head coach is Blake Reynolds. He is the former head coach of Wesleyan University’s women’s soccer program. Coach Reynolds has 4 KCAC Championships under his belt. Ultimately, he is the 2015 NSCAA Regional Coach of the Year awardee. Then, the Tiger’s women’s soccer assistant coach is Jacob Dunnett. Coach Dunnett is a USSF National F and NSCAA Goalkeeper Level 1 coaching license holder. 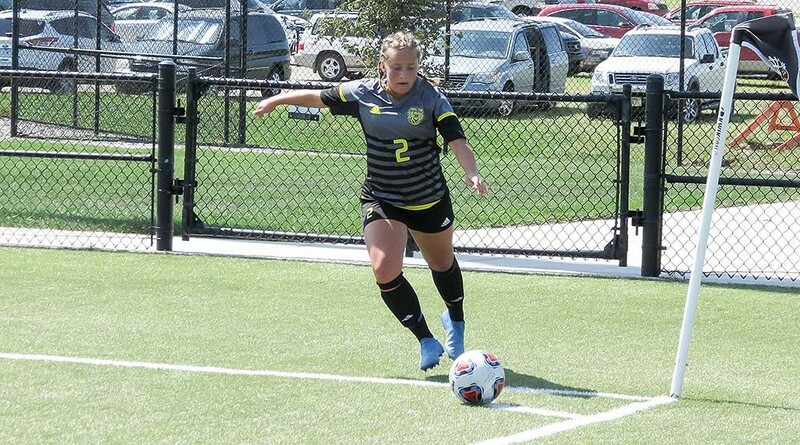 The Fort Hays State University Women's Soccer Elite ID Camp engages the attendees into a collegiate training and competition atmosphere.